This fragment of a larger tapestry depicts lords and ladies hunting with falcons. It shows various aspects of handling the birds—they are carried on a gloved fist, with jesses (straps) and bells attached to their legs, heads hooded till flight time—and the actions and attire of the nobility who enjoyed this social sport. 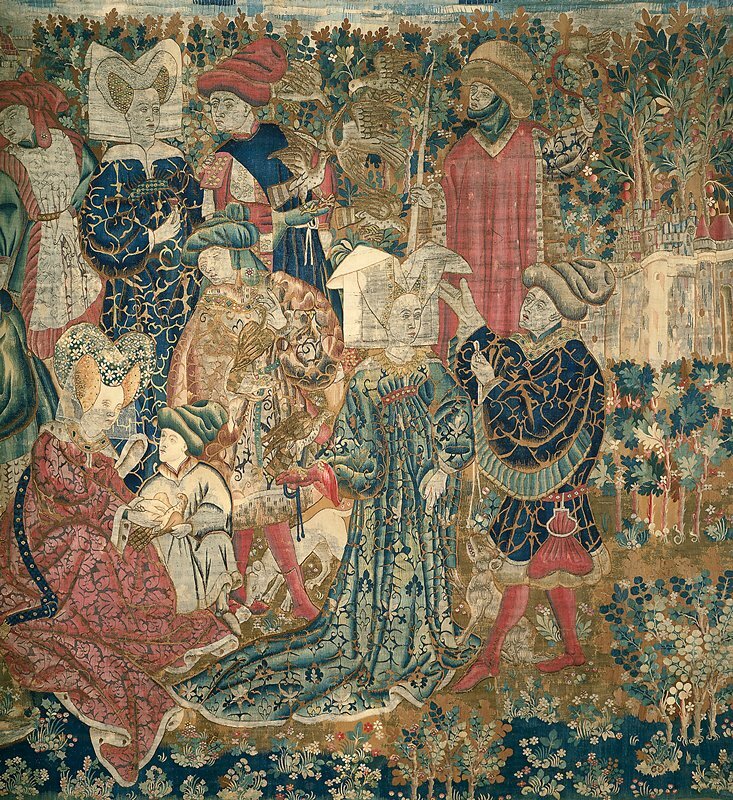 During the 1400s, tapestry designers often indicated perspective by arranging scenes one above the other. Figures near the bottom are meant to be closest to the viewer, while those near the top are farther away. Here, at top center, two falcons attack a heron.